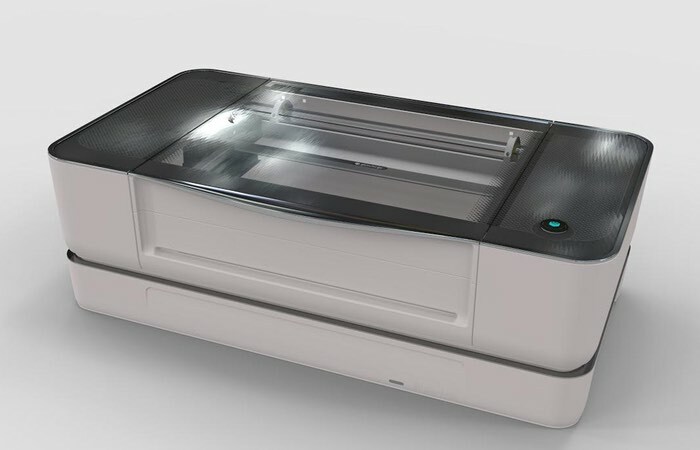 Makers, developers and hobbyists that are looking for a way to engrave and laser cut flat materials, may be interested in the Glowforge 3D laser printer that is now available to preorder from $1,995. Glowforge uses a beam of laser light that measures the width of a human hair, to cut, engrave, and shape designs from a variety of different materials such as wood, paper, card, leather and more. Watch the video below to learn more about the twelve ‘revolutionary features’ that come provided in this small desktop manufacturing system. For more information on the new Glowforge and its capabilities jump over to the official website for details via the link below.